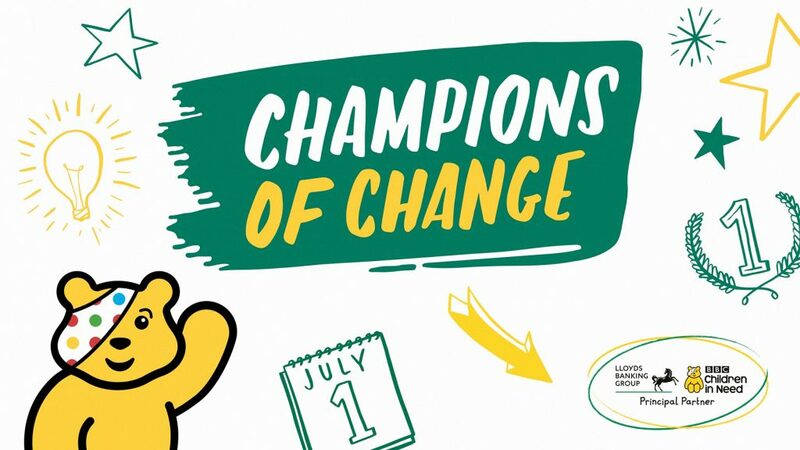 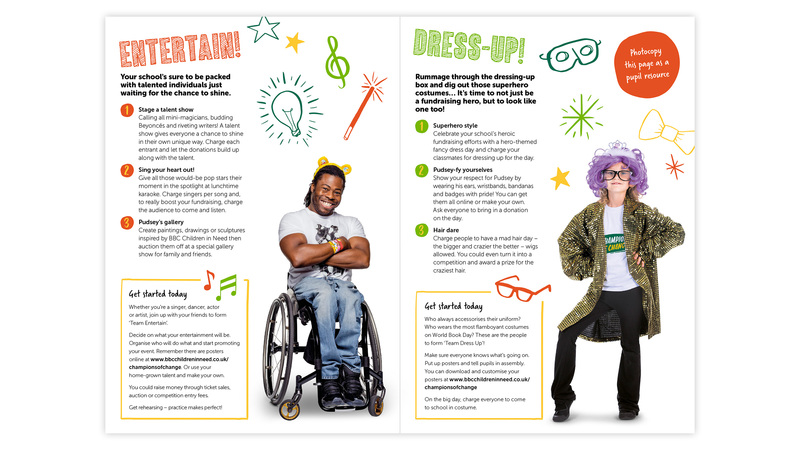 BBC Children in Need is a charity that works with the public to make a real difference to the lives of children across the UK. 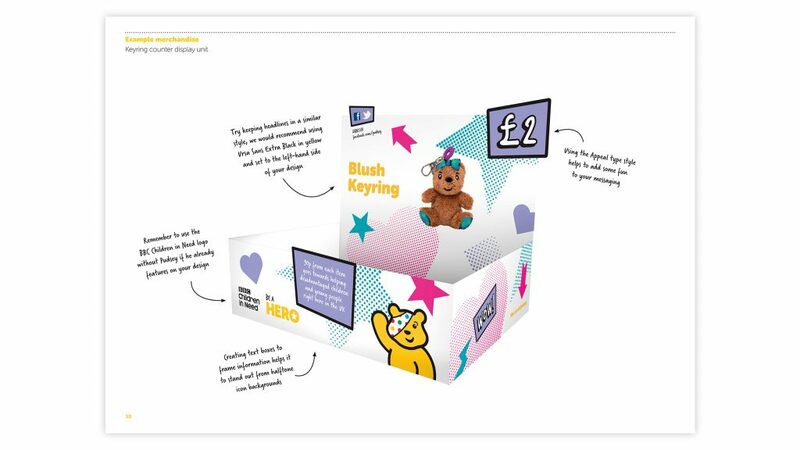 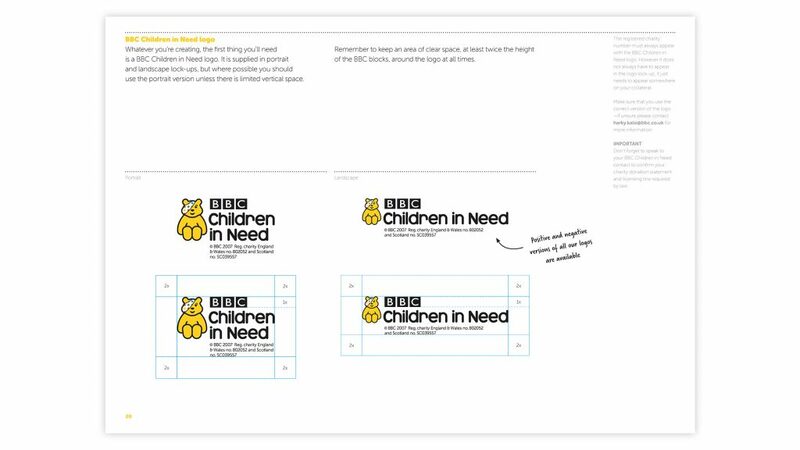 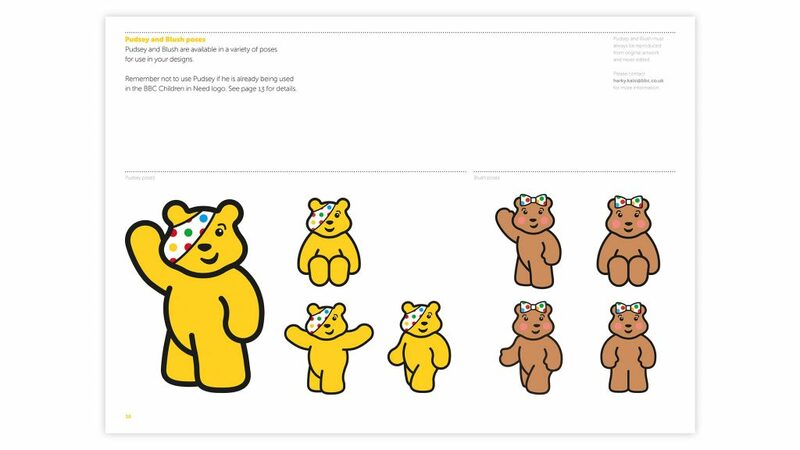 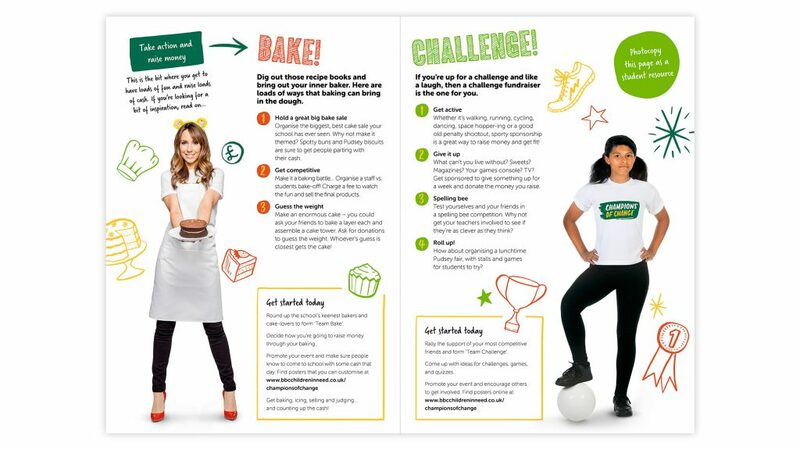 Created assets for the famous BBC Children in Need logo and Pudsey/Blush characters. Produced separate asset files in various formats for supporting graphics. 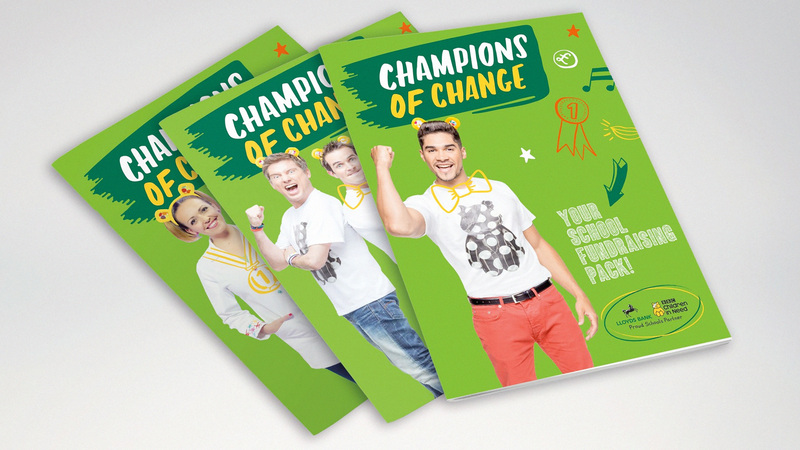 Artworked final print files for fundraising material: booklets, posters, forms, point of sale, and merchandise.